PHOENIX, Ariz. — The national law firm of Quarles & Brady LLP today announced that Amy Cotton Peterson has been listed among the Most Influential Women in Arizona by AZ Business Magazine for 2018. 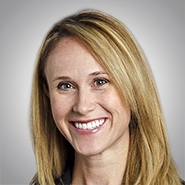 Amy is the national chair of the Health Law Practice Group and works in the firm’s Phoenix Office. Her practice focuses on health care transactions, regulatory and compliance issues, business development and provider defense. Amy and the other most influential women will be honored at an awards ceremony on Aug. 23. For over 25 years, AZ Business Magazine, one of AZ Big Media's seven different magazine's, has been the state's leading bi-monthly business publication for high-level corporate executives and business owners.